2016 BMW eRR. Picture credits - BMW. Submit more pictures. BMW Motorrad has a long tradition in pointing out new ways and thoughts for the topic �mobility on two wheels�. For that, again and again many studies were presented in the past giving views to the future. 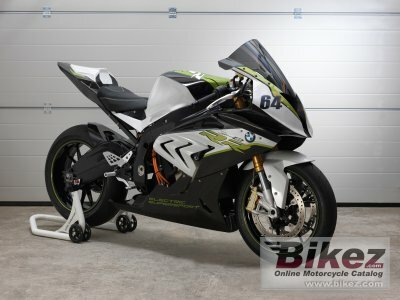 The experimental vehicle eRR, created as a project with the Technical University of Munich, embodies an idea of an electric powered supersport motorcycle made by BMW Motorrad. Price as new (MSRP): US$ 15695. Prices depend on country, taxes, accessories, etc. Ask questions Join the 16 BMW eRR discussion group or the general BMW discussion group. Bikez has reestablished Bikez.info motorcycle web shop overview. Here we present the major online shopping possibilities for motorcycle parts, gear and accessories. This includes customizing and insurance. Search and compare products and prices. Try our 2016 BMW eRR discussion forum if you have questions or comments. Information about any technical issue is always welcome.